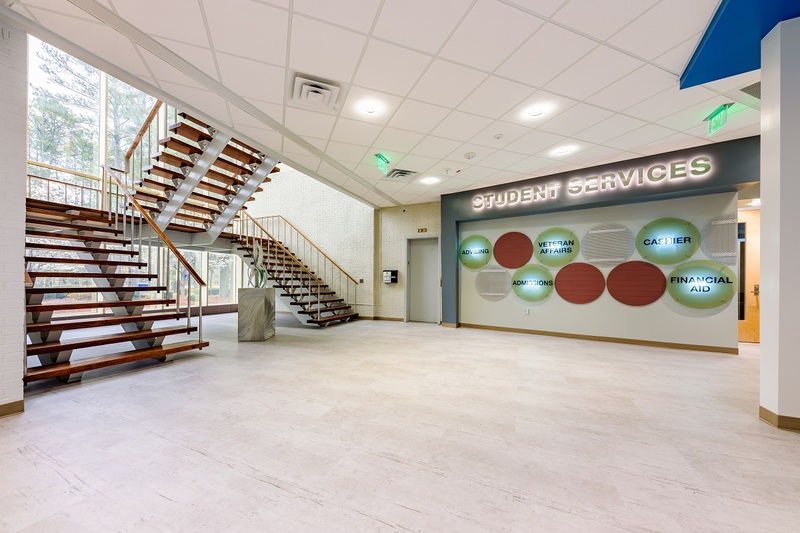 JKF ARCHITECTURE was selected by Craven Community College (CCC) to renovate the first floor of Barker Hall, located on the main campus in New Bern. 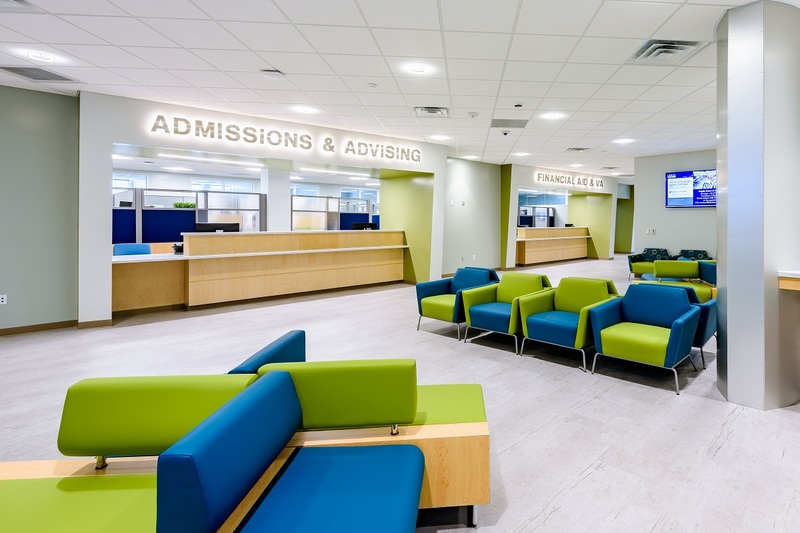 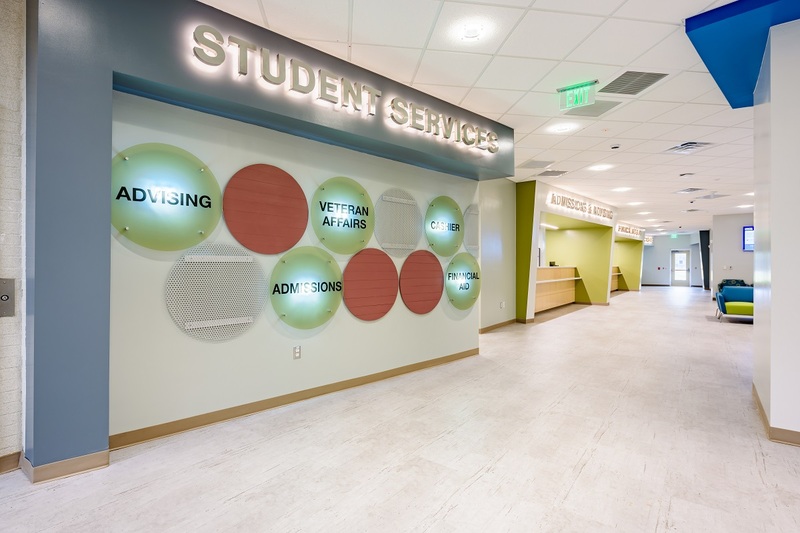 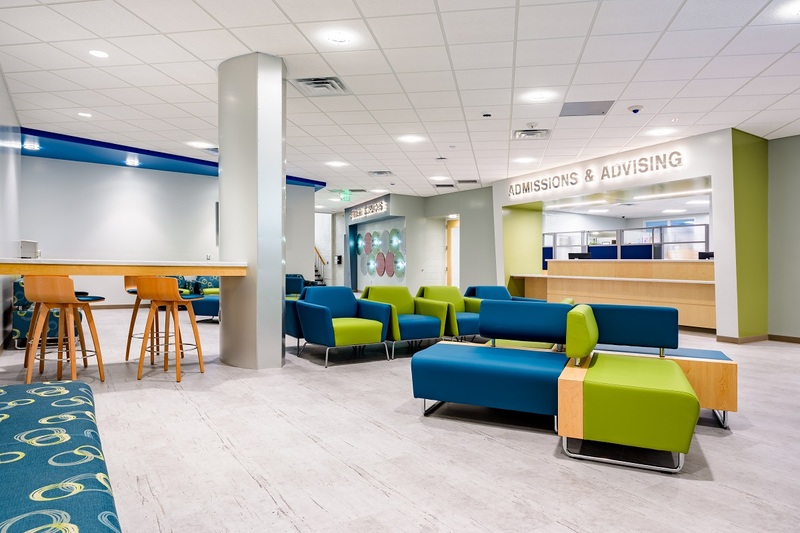 This approximately 12,000 SF renovation modernizes student services, providing students with a “one-stop” location for all their needs. 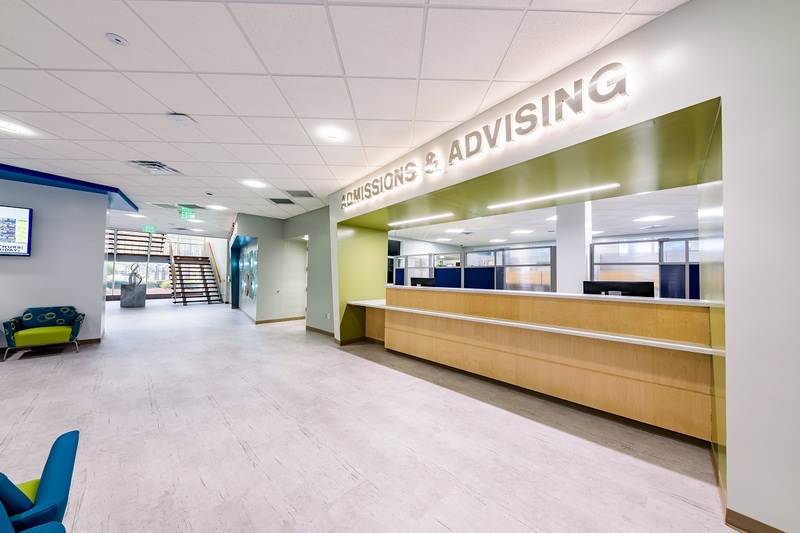 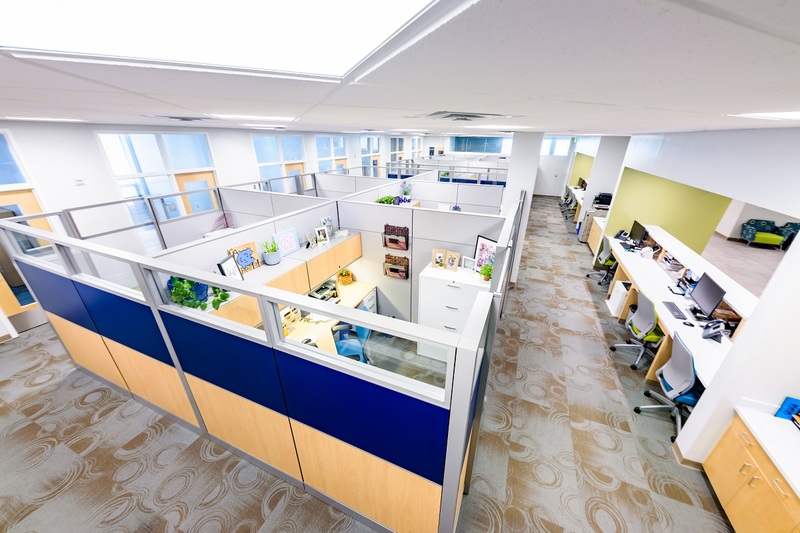 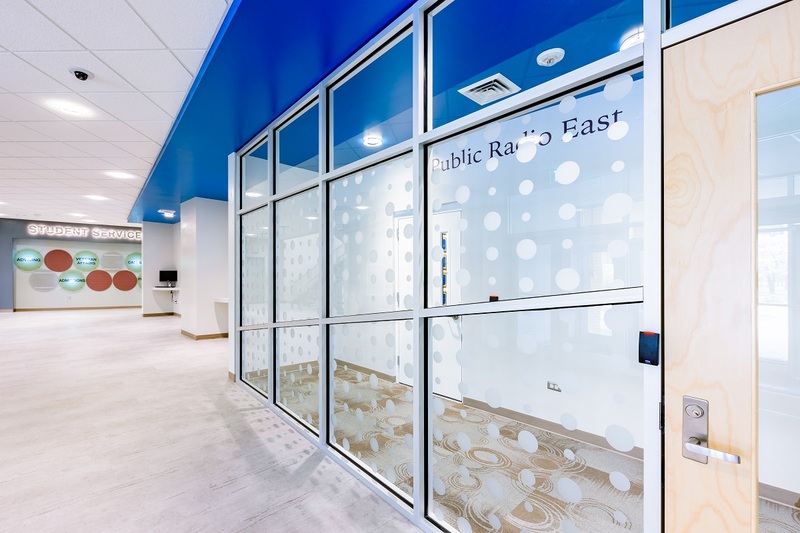 In addition, the renovation updates the interior lobby, ensures ADA compliance, creates space for students to recharge, modernizes the office suite, and delivers a new entrance into Public Radio East, which broadcasts live from the CCC campus.